3. Dickens used this pseudonym when writing. 9. "The _____ Curiosity Shop"
12. "A Tale of Two _____"
13. _____ Ternan was the mistress of Charles Dickens. 16. 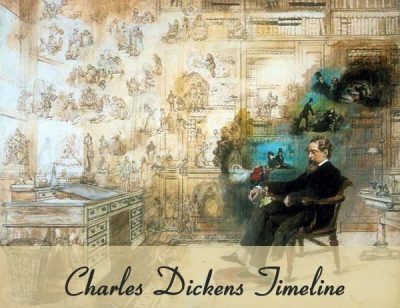 _____ Dickens was the mother of Charles Dickens. 1. One of his favorite characters in Goldsmith's "Vicar of Wakefield". 2. Dickens father was sentenced to this prison. 4. Dickens lived at Gad's Hill _____. 5. 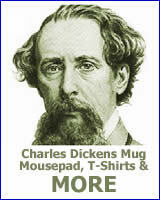 ______ Dickens was the father of Charles Dickens. 8. Wilkie _____ - This friend of Dickens is credited with inventing the mystery novel. 10. Tiny _____ was a character in "A Christmas Carol". 11. Mary _______ helped take care of Charles when he was young. 14. "The Frozen ____" - Dickens acted in this play that he helped write. 15. "My father's family name being Pirrip, and my christian name Philip, my infant tongue could make of both names nothing longer or more explicit than ______."